LG looks set to reveal not one but two smartwatches in time for the Android Wear 2.0 launch on 9 February. The LG Watch Style has just leaked in super clear photos. The watch leak comes from serial leakster and generally reliable source Evan Blass. 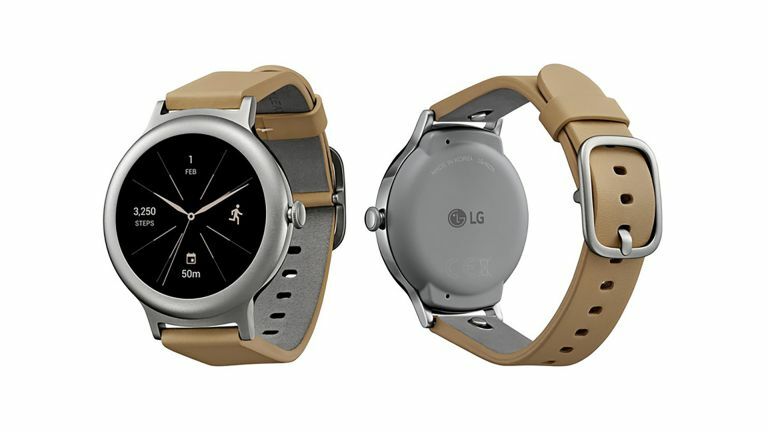 The photo matches a previous leak that featured the LG Watch Style as well as the LG Watch Sport. While the sport model features GPS and heart rate, the Style does not, in favour of a more minimalist design and slimmer build to suit that fashion-focused name. We’d hope pricing reflects that too with a drop for the Style’s fewer sensors. The picture shows a quick release suggesting changes in strap style will be possible. There aren’t visible ports so we’d expect this device to come with inductive charging too. According to sources of Android Police the watch will come with a 1.2-inch 260 x 260 resolution display, the usual Android Wear 512MB of RAM and a 240mAh battery. That same source also claims the LG Watch Style will cost $249 (£198). If the watch appears at the 9 February Android Wear 2.0 launch it will certainly come with the new OS. That will mean it gets the latest OS extras like a dedicated app store, handwriting recognition and a full QWERTY keyboard plus, of course, Google’s AI assistant.